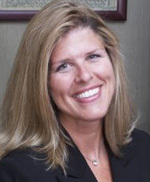 Denise has over 17 years of experience in long term care insurance sales and management, and most recently assumed the role Chief Executive Officer of ACSIA Partners, LLC, a newly formed company that was created by merger of ACSIA Long Term Care and LTC Financial Partners. In addition to serving on the LTCFP Board for 7 years she held the position of Chairman of the Board for three years. Her first eight years in the LTC business included selling individual and multi-life LTC plans as well as operating her own brokerage agency. Denise has business development experience as well as proven sales and team management experience in the LTC industry. In her role as Executive VP, Denise was responsible for the individual sales force as well as the worksite program for LTC Financial Partners. Before becoming Executive VP of Sales, she was National Sales Manager for 2 years. While in a sales leadership role she was responsible for growing team production four consecutive years more than 40% per year. She is a certified continuing education instructor and provides the Ohio and Florida Partnership for Long Term Care Certification for agents and strategic partners. Denise has contributed to dozens of media publications and promotions including the Lifetime Network and CNN Radio to advance awareness and education for long term care planning. She is a contributor to the many editions of the Dignity for Life book as well as several agent training programs including Strategic Partnership training and LTC Outreach & Education in the workplace. Denise earned a BS and MBA from Bowling Green State University. She holds a Certification in Long-Term Care (CLTC), and she is past President of the Cleveland Chapter of the National Association of Insurance & Financial Advisors (NAIFA). Denise is also a member of the National Association of Professional Women (NAPW), the Financial Planning Association and NAHU Florida. She resides in Fort Myers, Florida.